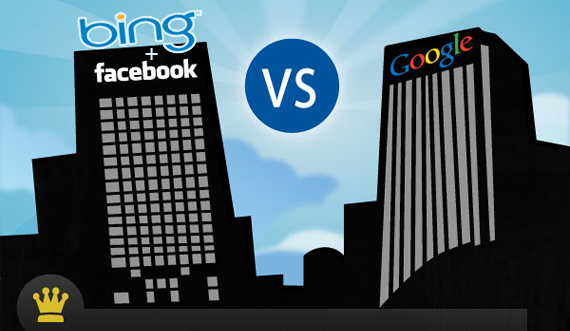 Microsoft's Bing And Facebook's Like Button Team Up Against Google ! Microsoft has deepened its ties with Facebook by integrating the platform’s social network data with the Bing search engine. Under the new partnership, users will be able to view ‘likes’ and recommendations made by their friends on the Bing search engine. Microsoft said that Bing will be capable of prioritising the search results based on Facebook ‘likes’, providing a more personalised search experience to Facebook and Bing users. The famous Facebook ‘like’ button will appear on the search results. The companies had started integrating Facebook's ‘Like’ button in February, but the new partnership will allow users to see the recommendations made by complete strangers. “New features make it easier to see what your Facebook friends “like” across the Web, incorporate the collective know-how of the Web into your search results, and begin adding a more conversational aspect to your searches,” the company explained. “Decisions can now be made with more than facts, now the opinions of your trusted friends and the collective wisdom of the Web,” Microsoft added. Microsoft and Facebook seem like natural partners in the face of Google, which controls around 90 percent of the search engine market and a large majority of online advertising. Microsoft is trying to improve Bing's share of internet searches while Facebook wants a bigger piece of online advertising revenue.